While 2016 may have gotten a rather bad reputation, for me personally and for my work as an artist, it was one of best years yet! So the time has come to write another small retrospective, and to think about what was so great this past year and what still needs some improvement. In case you missed my previous retrospectives, you can read the previous retrospectives over here. In case you have been following my work during this past year, you probably know all about the numerous exhibitions I organised. 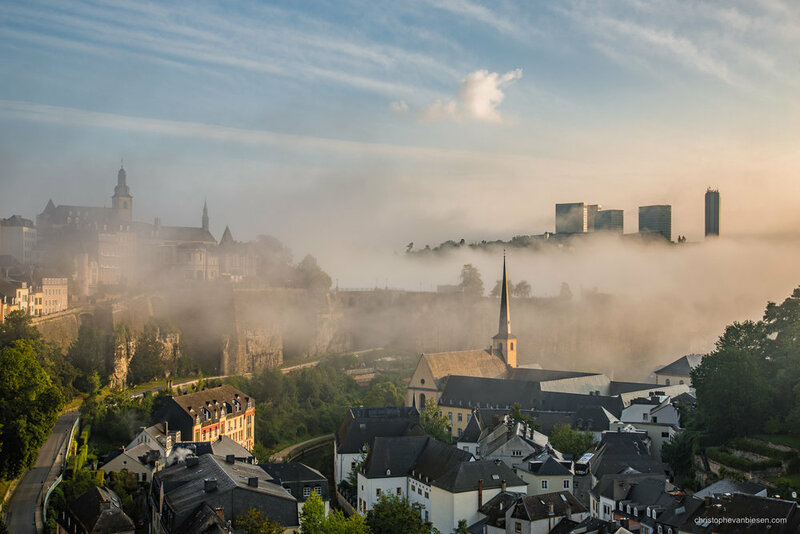 My goal for 2016 was very simple (at least in my mind): create an exhibition with my best, my most popular and my favourite pictures of Luxembourg City and have it move around various venues. Little did I know that it would pretty much monopolise most of my time this year. From there, the artworks then moved on to another amazing venue in June: the European Investment Bank on the Kirchberg in Luxembourg City. The artworks really looked amazing here, since the EIB has a very nice and spacious gallery. With September came the third venue at the Centre Culturel Al Schmelz in my hometown of Steinfort. I was quite amazed at the number of people who came to the vernissage from the surrounding area and already knew my work! Finally, November brought the fourth venue up north in the Grand-Duchy at the Yves Radelet in Drauffelt. Since the restaurant is situated so far up north, this was most certainly the calmest inauguration! But since there were fewer people, I was able to engage more deeply with them about my pictures. The true cherry on top of the cake this year, was a request by the Banque and Caisse d'Epargne de l'Etat Luxembourg to create a private permanent exhibition of my artworks to decorate an entire floor in the recently renovated ARBED building, 19 Liberté. 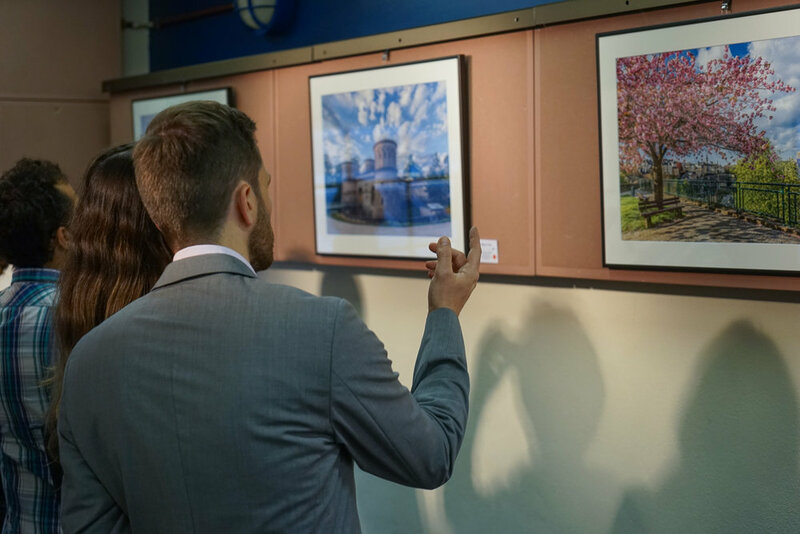 After a lot of planning and back-and-forth, the BCEE decided to acquire a total of 24 large-sized acrylic glass prints that are now permanently on display. 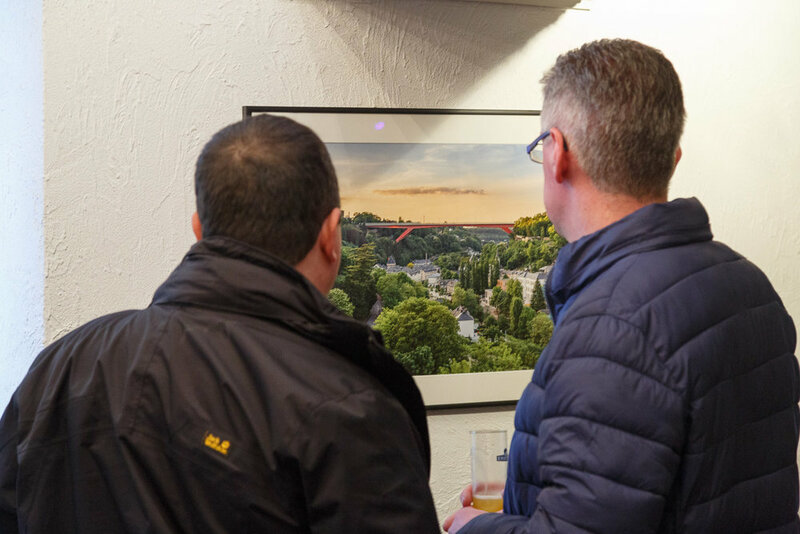 This is most certainly the most impressive exhibition I set up this year, since the photographs really look their best on such large acrylic glass prints that measure up to 150 by 100 centimetres. Following a lot of requests, I set up a small showroom last year in order to put on display my art prints. This year, I expanded this showroom and I am proud to say that I now have over 20 metres of gallery exhibiting my pictures. Visits of my atelier are currently on appointment only. I had been thinking about making a workshop for a few years now. So I am happy that I held my first ever "Introduction to Landscape Photography" workshop this year. I decided to limit the number of participants to 5 and spots sold out very quickly. It is also during this workshop that I made my personal favourite picture of 2016, which I named Dawn above the Sea of Fog. The weather conditions during the workshop were just perfect with some nice fog coming up the Pfaffenthal valley while the first sunlight lit up the Grund. The Kirchberg skyscrapers seem to float on a cloud. Following the success of the Luxembourg City Calendar 2016 Kickstarter project, I launched two new Kickstarter campaigns this year. The first project was aimed at creating a set of postcards with some of my most popular pictures made in Luxembourg. The resulting set contains 12 different postcard from Luxembourg City. You can still purchase the Luxembourg Postcards in my online shop. The second project involved creating a new Luxembourg-themed calendar for 2017. 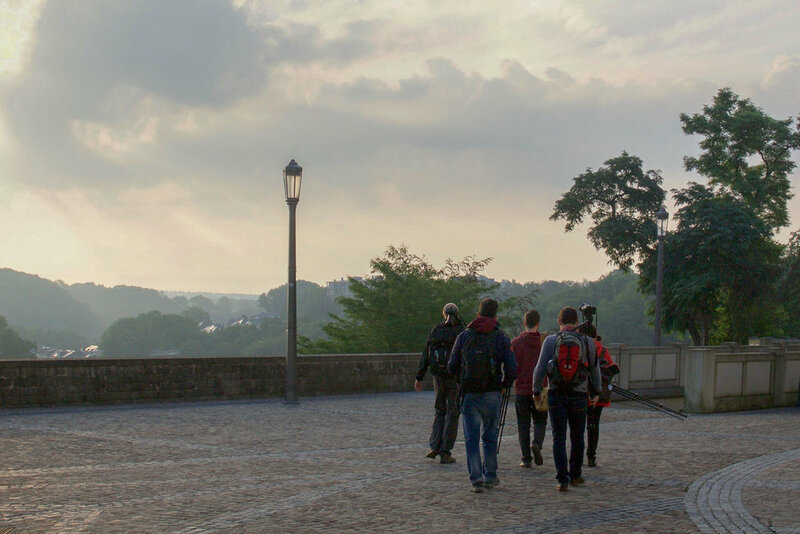 Instead of focussing only on the capital, I also included different pictures made around the Luxembourgish countryside. The first 200 copies of the calendar sold out right before Christmas this year. But because of this year's high demand, I decided to make some reprints that will be available for shipping in early January. You can order your copy of the Luxembourg Calendar 2017 in my online shop. As every year, I did my fair share of travels this year too. I escaped the cold Luxembourgish winter for a week by visiting Lanzarote. I also returned to Rome, one of my very favourite European capitals. And I also went back to Quebec, Canada, which was also the perfect time to visit Vermont and capture some of the gorgeous fall colours. Unfortunately I have fallen behind on selecting and finalising most of the pictures I made during this year's travels. But this should keep me occupied during this winter, when there is usually less pictures to make for a landscape photographer, except if Luxembourg suddenly gets a lot of snow. I have definitely been very busy this year working on so many different projects at the same time. But it has been a true joy to meet so many people at my exhibitions. And it has been a delight to welcome so many people at my atelier and showing them my artworks. And of course, it was amazing to see so many fans supporting my calendar and postcard Kickstarter campaigns! So to finish this retrospective, my thanks go out to you all, who made 2016 so special for me! I also decided that I will probably hold less exhibitions during 2017. I wish to dedicate more time to getting back on making new pictures and tackling new creative projects.